Although this book is intended to fill a gap in the resources available to volunteer members of nonprofit boards of directors, much of its guidance will also be useful for directors of public and private sector corporations. The strong research base underpinning this work also makes it of interest to researchers, academics, and consultants. It adds perspective to the debate about governance models and offers guidance to board members with respect to board structure, responsibilities, governance practices, and problems that commonly afflict boards. 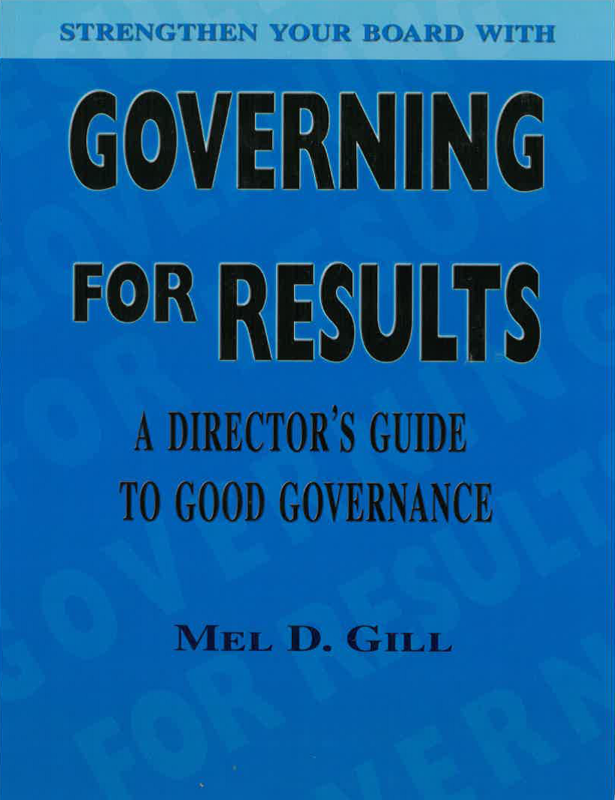 It is designed as a user-friendly guide for busy directors and executives who want concise, compact and well-researched answers to perennially troubling questions about governance, the role of boards and their relationship to staff. Mel Gill is President of Synergy Associates, Consultants in Governance and Organizational Development, Ottawa, Canada. He has a B.A. in political science, psychology and economics from the University of Saskatchewan and an M.S.W. from Dalhousie University in Halifax. Mel spent 17 years in the Saskatchewan public service in a variety of front-line, policy and senior management positions. His responsibilities included development and management of standards and funding criteria for community service and employment grants to voluntary sector organizations as well as implementation of Program-Based Management Information Systems as a Senior Analyst with the Treasury Board.